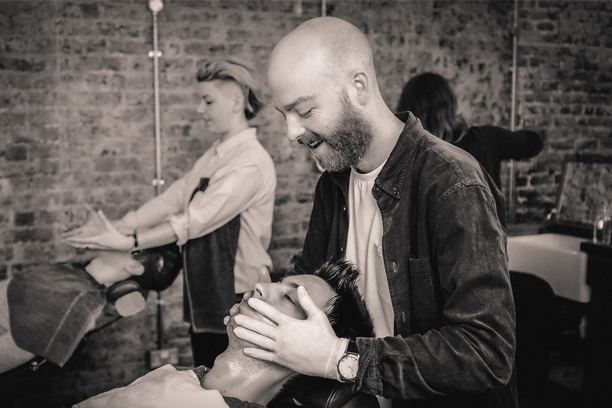 We joined forces with the London barbershop, Ruffians to uncover the essential ingredients to staying smart this party season. What’s the haircut that will instantly upgrade your usual office party attire? As the weather gets colder, windier and wetter, you don’t want to be faffing about with a pristinely blow-dried style – instead, a textured sweep-back side-parting is going to stand you in good stead for the wintry months. Go for a classic short back and sides, but allow the top to grow out longer. ‘Tis the season to be textured, so you can adopt the real life windswept look with aplomb – just scrunch a paste into towel dried hair, and rake your hands diagonally backward, creating a soft parting. Pat down the sides with the residue product and you’ll be appropriately spruced up. Go for a style that you can handle: nothing worse than a deflated pomp, or an overly frizzed mane. Pick something suitable for the season (texture, ‘natural’ mess, waves are a good option) and embrace the elements. Trim your beard regularly and keep it at a consistently tight length. Gone are the days of long, straggly beards – now it’s all about defined lines and shorter facial hair. How do you strike the balance between overdone and under-dressed? Trust the professionals! A good barber will be able to advise you on your best hair/beard look based off things you probably don’t know about ie. Hair type, face shape, hair growth, lifestyle and overall lifestyle. Once you’ve got this sussed out, you’ll never be overdone, nor under-dressed – as anything can be pulled off with the right type of confidence. Well, we’re biased and would obviously go for our own Ruffians Pale Ale. Failing that, we’re a big fan of anything whiskey related: being a Scottish company, we love a good old blended malt Old Fashioned. The go-to wardrobe piece during cocktail season? 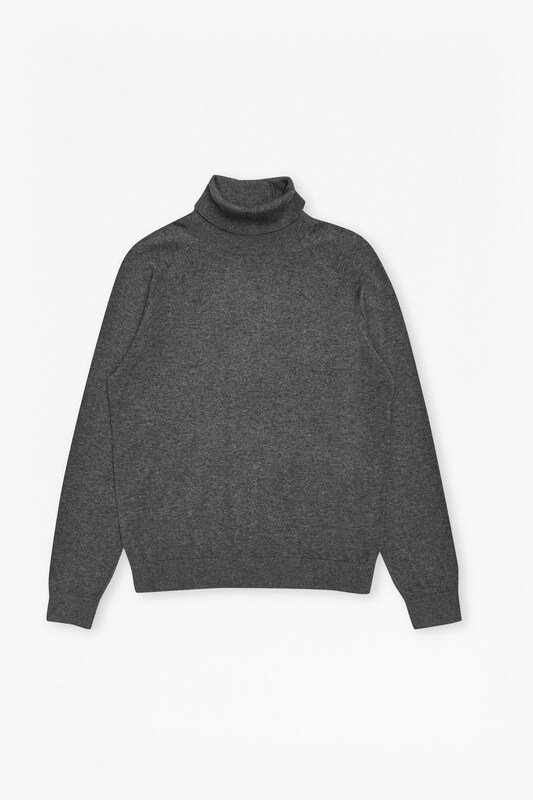 A dark roll neck is a classic staple that can go with any outerwear and trousers.